This certification verifies that the desktop support manager possesses the knowledge of best and common practices necessary to successfully manage the operational and tactical components of a support organization while strategically aligning with the needs of the business. 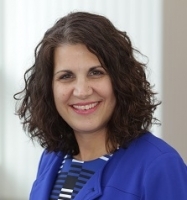 Rae Ann Bruno is the president of Business Solutions Training, Inc., where she consults and trains in various areas of ITIL, KCS, communications, internal marketing, metrics, and process improvement. Rae Ann holds several ITIL certifications, is a faculty trainer for HDI, and is the author of "Translating IT Metrics into Business Benefits" and "What Have You Done for Me Lately? Creating an Internal Marketing Culture." She is also a member of the HDI International Certification Standards Committee.